Webley & Scott are a well-known name in the firearm world, often being associated with quality, precision and reasonable prices. We have over 200 Webley air rifles and shotguns for sale on our online marketplace, making us the premier trader for firearms in the UK. Shop now for the best new and second hand shotguns in the UK, or come here to trade your used shotguns with likeminded gun enthusiasts. Really nice condition woodwork, barrel clean, worn but no major damage. Supplied with gun slip and a few boxes of cartridges. A classic English make, with desirable 30" barrels, longer stock length and pistol grip. English made, boxlock ejectors with the ever popular Churchill style ribs. A very tidy and increasingly collectable gun. A few bits of wear as expected for age but overall very nice example. Retailed by C B Vaughan, Strand, London. A second hand W&S 920 O/U 20G comes with 2 rear stocks so length of pull 13.5" to 15" 26" barrels 5 chokes choke key manuals etc all in its original hard case. Very good condition great value. Excellent throughout photo's do not do the gun justice £990 ono. Only rarely used. Originally supplied by S.R. Jeffery & Son Ltd. Guildford. Webley and Scott 812 walnut. This is brand new in case never been fired or even removed from the box. All in as new condition. 12G multi choke comes with five chokes and key as well as black ABS case. Webley and Scott 812 inertia 12G semi auto. This is the walnut synthetic version and was one of two purchases by myself and no longer needed. The second brand new cases and never fired is also for Sale in separate advert. A well-looked after gun, in the same family since new in 1971. The stock has been professionally extended by 1¼" to 15½". Was No 2 of a pair, with gold number on top lever. Supplied with an ABS travel case...SINGLE TRIGGER / EJECTOR... oil finished woodwork...colour hardened action ...ITALIAN MADE. Gun is in EXCELLENT condition. DBHE AD 12b Webley & Scott 700 being offered for sale on commission basis. Having recently been serviced and having extensive barrel rib refitting and reblacking, our client has now instructed us to offer this gun for sale. A DBHE AD 12b Webley & Scott 700 being offered for sale. Showing good signs of the remaining colour hardening, recently serviced and in good mechanical condition. DBHE AD 12b Webley & Scott 700 Side by Side for sale. One owner from new. In good condition with fixed game choke. Has a crack all the way through wooden forend (still useable but for aesthetics it could be fixed) hence cheap pricing. in almost new condition dark wood finish and steel shot proofed. A Webley and Scott .410 Bolt action. An excellent version of a Webley .410 bolt action. The gun has been fully cleaned and service and is in fantastic condition. The chequering is still very sharp and the wood set is above standard grade. A great example of these good quality Turkish built shotguns made for Webley & Scott. 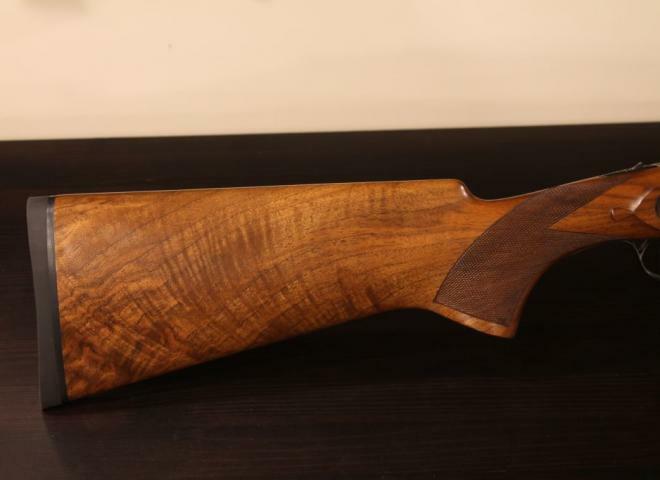 A little used example of these great quality shotguns from Turkey built for Webley & Scott. This 26" barrelled shotgun would be an ideal tool for a pigeon shooter in a hide! This model is called "The Sportsman". Comes with a 2 shot blind magazine. Condition is very good. Includes 5x chokes and choke key. 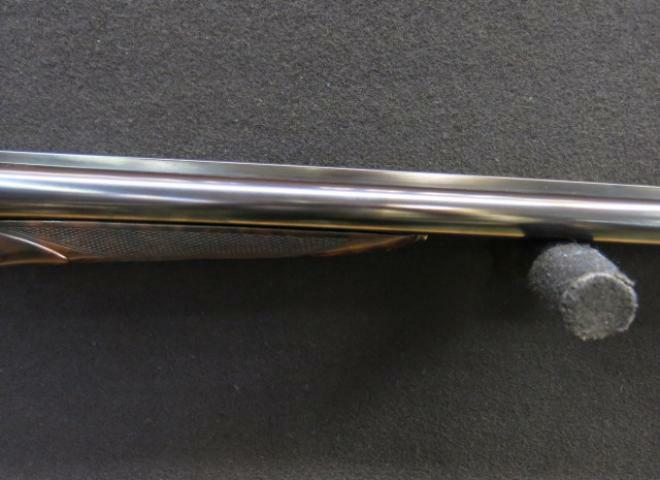 Webley & Scott 3000 20 gauge over-and-under hand detachable sidelock ejector. An absolutely stunning example of the 701 model from Webley & Scott with barely a mark on it, easily one of the best of these guns we have seen for a very long time. Brand new gun unused, 3 year warranty. 30 inch barrels multi choke great first or spare gun. The Gun Room offers you the opportunity to purchase a new Webley & Scott 941 410 with 30" multi choked barrels. Comes with 5 multi chokes, auto safe with nice dark wood. Good value for money. Pre owned Webley and Scott 16 gauge boxlock ejector. One only at this price, incredible deal on the new Webley & Scott 950 Sporter. 28" barrels with full set of chokes. Incredible value starter gun. One only at this price, incredible deal on the new Webley & Scott 900 Extreme Sporter. 28" barrels with full set of chokes. Incredible value starter gun. 12 Gauge Webley and Scott Side by Side Box Lock Ejector shotgun. One of the last gun that they made and now quite desirable. Very good, clean order. Webley & Scott 900 Boxlock Action, 3" Chamber, Steel Shot Proof, Black Chrome Finish, 5 x Chokes, 3 Year Warranty - Single Trigger Manual Safety, Pistol Grip Stock - 20g 28"